Exciting news rippling out from East Africa! It has been four months since the Global Women’s Water Initiative completed Phase One of our third African Women and Water Training Program in Kampala, Uganda (Read more about the Phase 1). 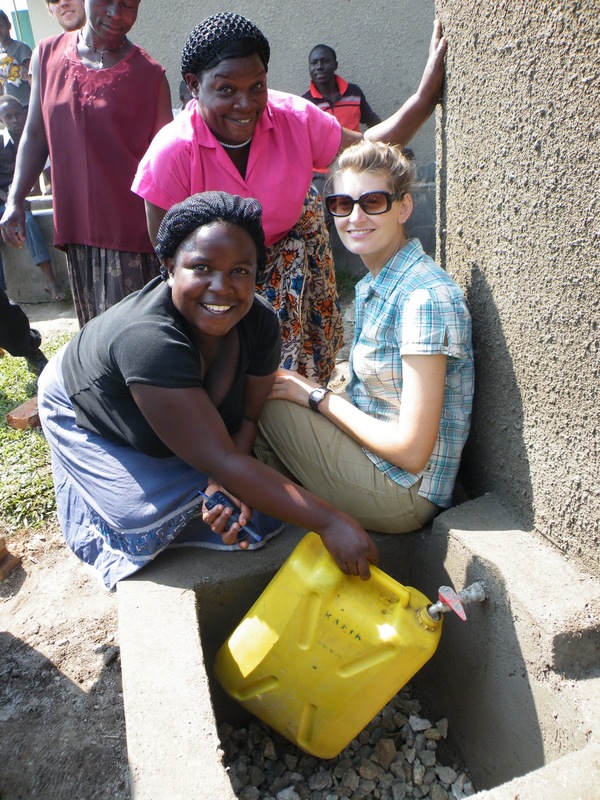 Fifty two women from East Africa and the United States came to Kampala to attend the GWWI Training to learn educational and technological solutions to address their communities’ water and sanitation needs. Most were strangers when they arrived, but by the time they left Kampala, partnerships were formed which has rippled out into waves of change in communities across East Africa. Today, over 2800 people have access to clean water and sanitation! And this is just the beginning. How did they do this? 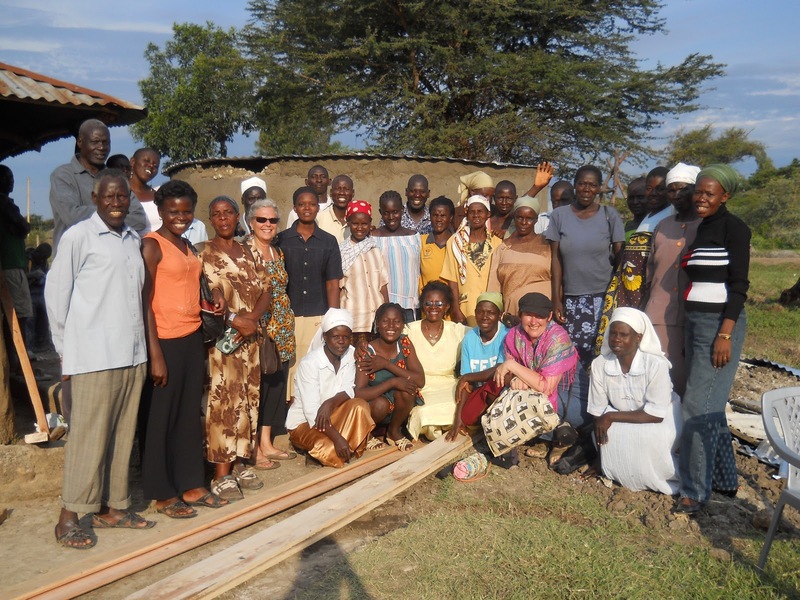 Immediately after the Kampala Training in Phase 2 of the program, GWWI Grassroots Teams were given an opportunity to apply for a $1500 seed grant to implement what they learned. 15 teams received their grants, mobilized their communities, and with support from the GWWI coordinating team (trainers, fellows, and trainers-in-training), built nine rainwater harvesting systems with storage tanks, and introduced four Biosand Filter and three Ventilated Improved Pit Latrine projects in slum and rural communities in Uganda, Tanzania and Kenya. What did we learn from the past? This GWWI created a WASH Peer Support Network by incorporating East African and International Fellows as well as GWWI graduates (Trainer’s in Training or TT) to partner with the Grassroots Teams to help them reach their goals. The Support Network act as global peers offering assistance in coordinating, co-training and problem-solving during every step of the planning and implementation process. In our past GWWI trainings in Kenya (2008) and Ghana (2010), it took up to a year or more for the Grassroots Teams to implement their first technology. This cycle took less than four months. Not only have we seen greater impact, but faster implementation as well much in part because of this network. What’s next? As we transition into Phase 3, the participants must mobilize their own resources to replicate technologies learned during the training to expand their WASH programs to meet the GWWI criteria for two technology implementations within a year. This means engaging local leaders and community members for long term support, acquiring building materials, planning all logistics of construction and outreach and designing a larger scale program to have a greater reach. Two teams have already implemented their second technology for Phase 3 and we expect two additional Teams to do so by the end of the year! The East Africa Network for Women and the Environment! Drawing and building on the significant contributions by a strong peer support network of international and East African fellows as well as GWWI graduates/Trainers-in-Training, Women’s Earth Alliance’s Africa program is responding with the creation of an East Africa Network for Women and the Environment (EANWE). The creation of such a network to link and connect women at the helm of environmental and climate justice issues is long overdue, and the Africa program is excited to be in the initial stages of forming the East Africa Network for Women and the Environment. This Network aims to create linkages and networking opportunities for the partners of the Africa Program and will connect environmental activists, women’s right advocates, development practitioners, non-profit and community based organizations (CBO) working at the nexus of women and the environment. Through EANWE, members connect, share knowledge and build coalitions to address emerging issues facing women and the environment in East Africa. Networking remains a critical tool for women and girls to break the cycle of dependency and to engage in development at all levels and it also allows for highlighting and amplifying women’s contributions and voices in seeking solutions to the environmental and climate issues of our time. Our blog is a collection of inspiration, information and ideas about the work we do and the lives we lead. Today we joyfully invite you to contribute in making certain that the crucial work of women who are advocating for environmental and social change will not only continue, but will grow with every passing year. Click here or visit PayPal to support us financially.